Stinky or Pleasant, What's Your Scent? trash dump, along the highway. The odor is too much. I pull the neck of my shirt over my nose just to drive by. And how about the smelly perfume or aftershave that's been poured on the man or woman you sit next to at a restaurant. A little goes a long way. 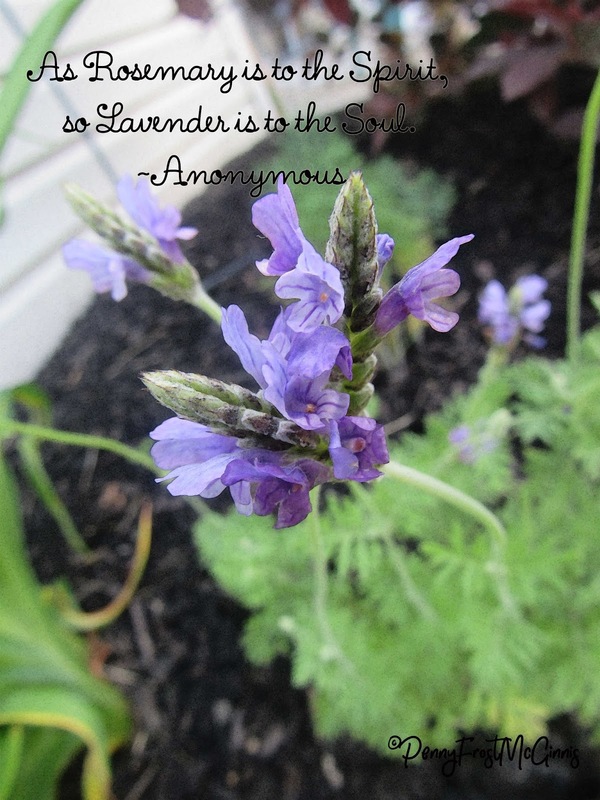 For years I grew herbs in my flower beds. Not so much to cook with, but to inhale the lovely smells. 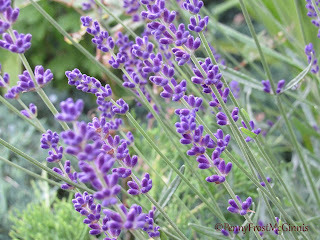 Herbs have an earthy, natural scent that not only refreshes me, but reminds me of the goodness of Jesus. Chives and garlic, with the purple tufts on top of their long slender green stems, give of an odor of strength and protection. People use garlic to ward of colds and illness. The refreshing fragrance from those pretty seed heads on dill remind me of bursts of joy. Then there are the spicy herbs like oregano that give a boost, encouragement, and enthusiasm. 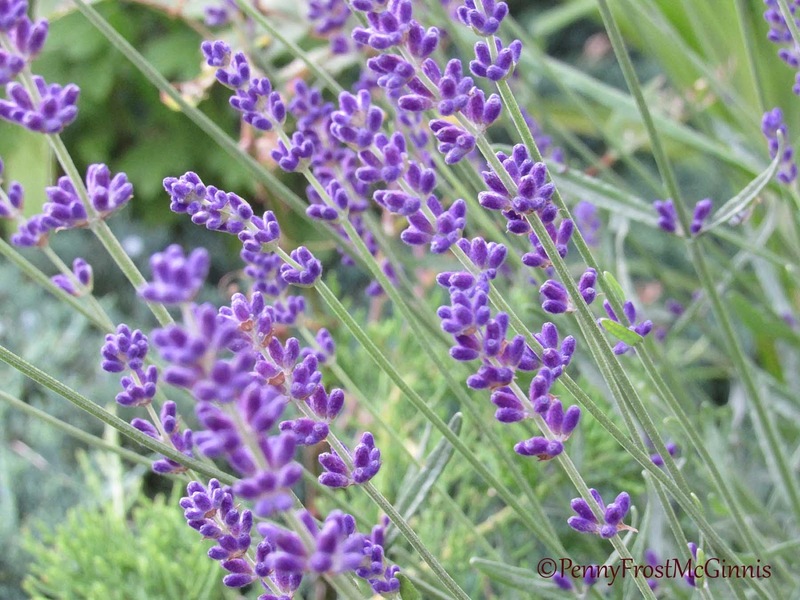 My favorite of all the herbs, lavender, produces a scent that fills me with a peace beyond my comprehension, much like the peace Jesus pours over me when I believe no peace can be found. As Jesus followers, we leave a distinct odor in our path. Whether a smelly garbage dump or a lovely scent of peace and encouragement. When Mary, Martha's sister, went to Jesus she had a desire to fill the room with the most beautiful scent she had available to her. She took the most expensive perfume, usually saved for burial, and poured it over Jesus feet. The love she poured out with the oil created a lasting scent of dedication to her Savior. What fragrance or odor do you leave behind? A stink or a pleasant reminder of faith in Jesus? Ephesians 5:1-2 Follow God’s example, therefore, as dearly loved children and walk in the way of love, just as Christ loved us and gave himself up for us as a fragrant offering and sacrifice to God. Straight Arrow Planning or the Arrow Dance? Have you seen the picture of the black arrow shooting across the white page, from point A to point B, that represents what we think life's path should be. Next to that is a white background with a black lined arrow that curves and squiggles as it crosses back and forth over itself. The second one with all the twists and turns represents living life as it happens. As more of a point A to point B person, I like to know what's coming and when. That's probably due to my anxiety. But guess what. God has been working on me for years, teaching me the best laid plans may not be the straightest. I know God lays desires on my heart. He gives me ideas to plan my course, but the path I take is seldom straight as an arrow. Most of the time, I go over and around the mountain to get to where I'm going. And sometimes, I shoot past where I'm headed, only to land where God intended. As a teenager, he placed a desire on my heart to pursue a bachelors degree. To me, that meant going four years to college, right after high school graduation. Straight arrow planning! But the plan played out much differently that I dreamed. When I finally received that diploma, I was 48 years old. God knew the big picture. He understood what I needed and when. I'm considering retirement now. I don't know when, but I'm gathering information. Although I don't know the details, I trust that God does. He sees the big picture of the arrow dance. He understands every step of the curvy route we live. In prayer, I'm seeking God's wisdom to guide me. I'm trusting him to show me the way. I was delighted to read, The Fashion Designer, the follow-up story to Annie's journey into the world of design. 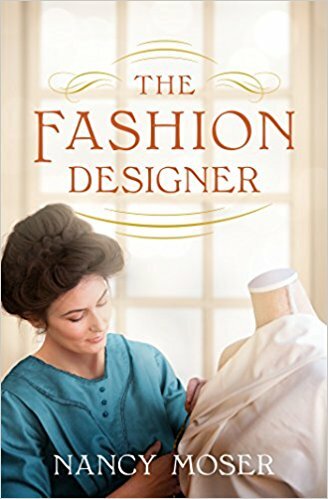 Nancy Moser sews her research of the fashion industry in the early twentieth century into a perfect pattern of hope and determination. I loved the camaraderie of the entrepreneurial ladies and their desire to grow a business. There are many ups and downs in the story, but regardless of the situation the characters faith shines in the face of controversy. This is a book filled with excitement for women at the turn of the century, love among the wonderful characters, and hope for family and friends. I highly recommend this beautiful story. If you haven't read book one of the series, The Pattern Artist, check it out too. I received this book for free with no expectation of a good or bad review. This book is available July 1, 2018. Pre-order on Amazon. I've spoken to a lot of women lately who say the same thing. "I'm so tired." Me included. Whether they are running after pre-schoolers, staying up late waiting for their teenager to come home, working long hours, volunteering, or just tired of the chaos of living. We're all tired. Whether 21 or 91, we live in a world where we're worn out too much of the time. I'm sure men feel the same way. Living life on this earth is exhausting. Whether physical labor or emotional exhaustion, life takes the gumption right out of us. And Jesus knew this would happen. That's why in all of his wisdom, he offers us relief. The only rest that removes burdens and allows us to sleep at night, comes from Jesus. His arms are wide open to receive our anxieties, worries, and burdens. Jesus offers to carry our cares. He asks that we give them to him. Through prayer, release the weight of life and let him take your load. He's willing and able. Young children will enjoy this sweet bedtime story. And once they listen to the lullaby, they'll want to sing it before they go to bed. That would be a great nightly routine to help get children to sleep. 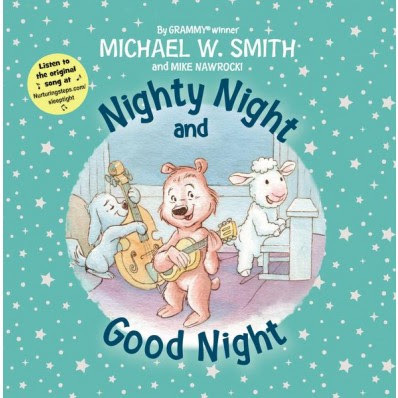 The story is simple and aimed at giving comfort to the child as they doze off. The cute illustrations will bring a smile to little faces. I received this book for free from Zonderkidz with no expectation of a good or bad review. How about a God Hug? I have a friend who talks about "God kisses." Those moments when life works out. Maybe your path runs across that of a friend you haven't seen in a while, or an unexpected opportunity opens. For me, even the sight of my lavender tulips felt like a God kiss, a tiny joy of spring. But then there are those times when I need more. I may feel a little lost in my path. Sadness affects my life, anxiety gets me down. During those times, a God kiss is sweet, but I need a "God hug." A big old, God pulls me into him, hug. Yes, an embrace from God. Many times those come to me on Sunday morning, while I'm standing in church singing worship music. I close my eyes and picture myself walking into the most comforting hug I can imagine. That's how it works for me, but God reaches out to us in so many ways. Maybe as you walk along your favorite trail, or drive down the road in your car (just don't close your eyes) you feel his arms around you. Perhaps while you rock a newborn, or sit quietly reading the Bible. God offers his open arms whenever we want to step into them. He's our comfort and safe place. I'm grateful for a God who offers me shelter and his shadow for rest.